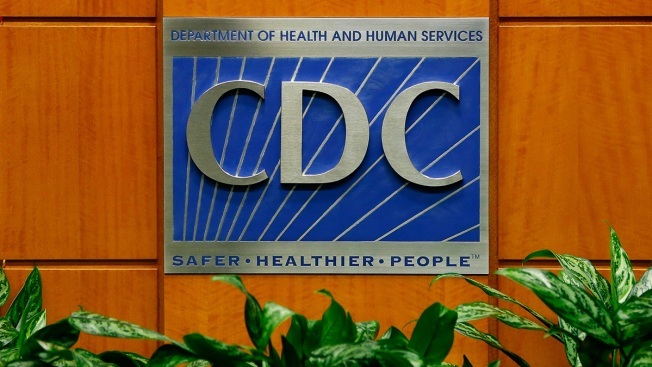 In this Oct. 5, 2014, file photo, a podium with the logo for the Centers for Disease Control and Prevention is displayed at the Tom Harkin Global Communications Center in Atlanta. Ninety people in 26 states have been infected with salmonella in the midst of an outbreak that has been connected to raw turkey products, the Centers for Disease Control and Prevention said Thursday. There haven’t been any reported deaths, but 40 people have been hospitalized. Salmonella cases have been reported in Alaska, California, Colorado, Florida, Georgia, Hawaii, Iowa, Illinois, Indiana, Kansas, Kentucky, Massachusetts, Michigan, Minnesota, New Jersey, New York, North Carolina, Ohio, Oregon, Pennsylvania, South Carolina, South Dakota, Tennessee, Texas, Virginia and Wisconsin, the CDC said in a news release. While the outbreak hasn’t been linked to a single supplier, the salmonella strain has been found in samples of raw turkey products including pet food and live turkeys, the CDC said. It may seem simple, but you may not be properly washing your hands. Follow these simple steps to keep your hands clean. The agency hasn’t instructed retailers to stop selling raw turkey products and hasn’t told consumers to stop eating properly cooked turkey products. To avoid being infected with salmonella, the CDC recommends frequently washing your hands, cooking raw turkey thoroughly and avoiding raw diets for pets.